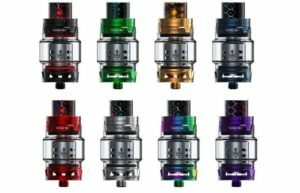 SMOK TFV12 PRINCE 8ML SUB-OHM TANK is designed for users that even the original TFV8 could not satisfy. 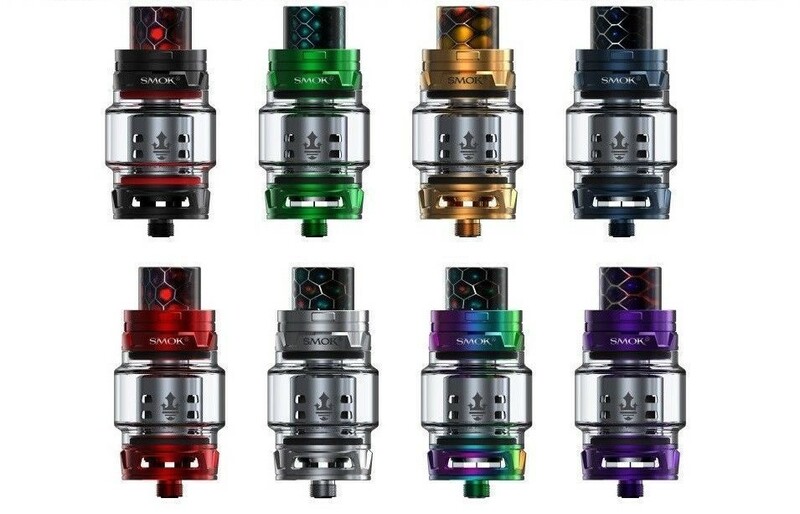 The TFV12 Prince has an incredible 8.0ml increased capacity with a unique crown-style design that features a bulb shaped glass tube. 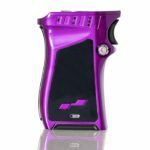 The TFV12 Prince is the upgraded version of the original TFV12 with new hyper engine Prince V12 atomizer heads that are designed for increased flavor and vapor production. These powerful atomizer heads are designed for moderate to high wattage builds and features quadruple, sextuple and quadruple coils for great flavor and vapor production. The TFV12 Prince atomizer heads feature 12 holes for increased e-liquid saturation and heat dissipation. It also features a new rotary top fill design with a locking mechanism that is easily unlocked with a press of a button for quick and simple access. The TFV12 Prince is topped off with a majestic wide bore Cobra resin drip tip that is sure to stand out. 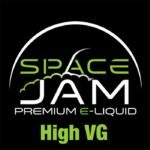 No two resin products will ever have the same design and look due to the unique manufacturing process. Please note, the TFV12 Prince is NOT compatible with the original TFV12 atomizer heads.